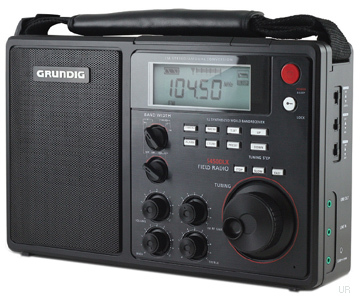 Would you like to buy a shortwave radio as a gift, but don’t know a thing about radios? Or want help leaving a hint for Santa or Ms. Claus? Following, you’ll find a handful of select radios I recommend for this gift-giving season. I’ve arranged this selection by price, starting with the most affordable. This quick guide is basic, non-technical, and to the point. For more comprehensive reviews, please consult our Radio Reviews page. Updated for the 2011-12 holiday season on 23 November 2011. When I flew cross-country to visit a friend on the coast of British Columbia earlier this year, I had very limited space in my carry-on bag. I required a radio companion of a modest size, one that performs well on all bands–not just the shortwaves–for I intended to listen to local and distant AM (medium wave) stations, too. My choice was simple: the Tecsun PL-380. This little radio is affordable, compact, and has (especially with the aid of headphones) excellent audio. It’s powered by a pretty innovative DSP chip that helps pull stations out of the static, as well. Keep in mind, if you’re planning to purchase any Tecsun product, to allow at least a two week delivery time, especially if ordering from eBay. Occasionally, Kaito (the US distributor of the PL-380) will sell some stock on eBay; in this case, delivery is quicker and the unit carries a US warranty. Simply put, the Tecsun PL-600 offers the best bang for your buck in 2011. The PL-600 is not the newest offering from Tecsun; in fact, it’s a model that has been on the market for several years. (Tecsun’s PL-660 is basically the updated version of the PL-600.) For $60, though, you get a very capable, sensitive and selective portable shortwave radio with SSB capabilities and nifty auto-tune features. I liken its performance to the legendary and highly-regarded Grundig G5 (which is no longer in production). 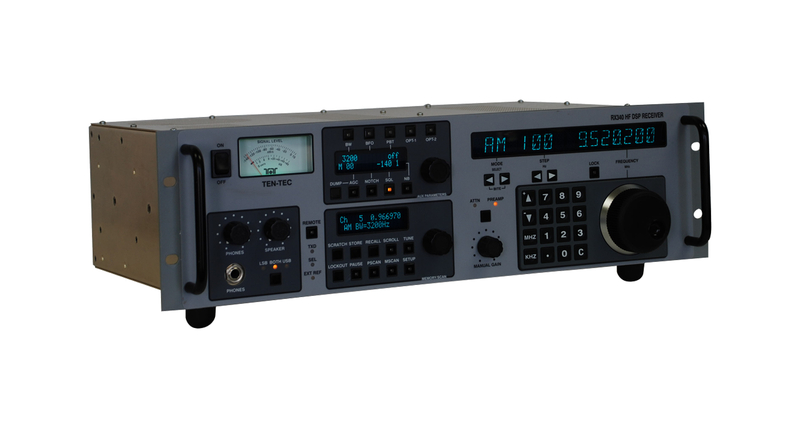 The PL-600 is easy to use, has reasonable audio fidelity from the built-in speaker, and sports a display with all of the essential elements for casual shortwave listening or hard-core DXing. I have found the quality of Tecsun radios to be superb. The PL-600 is a great size/weight for portability–it will easily fit into a suitcase or carry-on–it is not, however, a pocket radio. The Tecsun PL-600 would make an excellent first radio for the beginner or seasoned radio listener. Click here to read full specs and links to other reviews of the PL-600 in the Shortwave Radio Index. Okay, so forget everything I said about the PL-600 if you’re able and willing to invest another $50-60 into your radio gift. 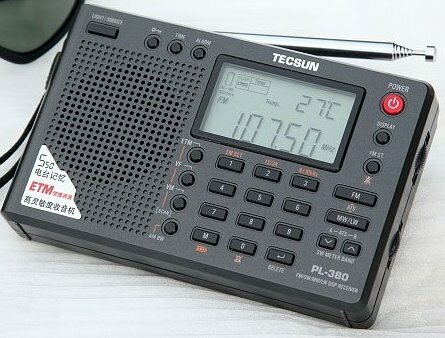 The beefier Tecsun PL-660 is new to the market in 2011 and has quickly gained the respect of the shortwave community. It is, in essence, an updated version of the PL-600, with improved performance, sync detection, a band for listening to aircraft, and RDS for displaying FM radio station info. As with other Tecsuns, eBay sellers provide better pricing, but Kaito does sell these radios on Amazon.com as well. If you purchase from Ebay, do so at least two weeks in advance of gift-giving time–again, these radios make a trip from Hong Kong via airmail. This large portable (along with the C.Crane SW) is still my first pick for someone who wants excellent radio performance, but also wants a radio that is simple and straight-foward, with ease of use in mind (i.e., grandparents, children, your uncle who gets muddled by the TV’s remote control). It comes with an owner’s manual, but you most likely won’t need it. The S450DLX has robust, room-filling sound. Ergonomics are excellent, and it sports a large, comfortable tuning knob. Audio performance is very good and enhanced by its large front-facing speaker. This is not a pocket or travel portable, rather a tabletop portable. The S450DLX will please both the beginner and seasoned radio listener. Purchase directly from Universal Radio or Eton’s online store. Read here for an excellent offer on the S450DLX that expires 11/29/11. This Sony shortwave radio is a classic, with solid, time-tested performance, and features to please both the beginner and the seasoned radio enthusiast. I like to include different radios each year in the gift guide, but the Sony ICF-SW7600GR is on the list again this year. It’s probably the only radio on this list that isn’t made in China–it’s made in Japan!–and is built, as one of my ham buddies says, “like a brick toilet.” (Ahem, just meaning that it’s sturdy and reliable). The ‘7600 will deliver some of the best performance that you’ll find in a portable on this page. At $120-150 US, it’s not the cheapest on the market, but certainly one of the best. I regret that its days are limited as Sony pulls out of the shortwave market; but mark my words, this one will become a classic. The Alinco DX-R8T is new to the market in 2011. We reviewed it, in detail, only recently; in short, it impressed us. It’s full-featured, performs well, and comes at a very affordable price. If you’re buying this for a ham radio operator, they’ll understand the reason why the Alinco DX-R8T needs a 12 volt power supply and an external antenna. It’s a receiver version of a ham radio transceiver–as such, it does a fine job on SSB modes. Let’s face it, these are tough economic times. So, you may be wondering why I would put a radio in this list that’s priced the same as two Tata Nano passenger cars. Why? Because, if you have the money, I promise the performance of the RX-340 is not likely to disappoint even the most discerning of radio listeners. It is a textbook-perfect, 12.5 lb. example of form following function. Heavy, man. But it is very, very good. Sure, you could buy two hundred (and eleven) lightweight Degen DE321s for that kind of money, but who wants that many portables cluttering up the den when you could lounge by the fire and tune in an RX-340 instead? Close your eyes, sip your favorite scotch, and just…listen to the world. If you doubt me, Check out our RX-340 page in the Shortwave Radio Index. It’s chock-full of stellar reviews on this radio work-of-art. Note from your wife (aka, Ms. Claus): Dream on, dear. Don’t wait for Santa: Buy it directly from Ten-Tec–the factory where it’s made in the USA–in Sevierville, Tennessee. Want more gift options? Try our 2010 gift guide, take a look through our shortwave radio reviews guide and/or our simplified reviews page. This entry was posted in Radio Gift Guide, Radios, Reviews and tagged 2011 Radio Gift Guide, Alinco DX-R8T, Alinco DX-R8T Review, Black Friday Radios, Degen DE321, Degen DE321 review, Grundig S450DLX, Grundig S450DLX review, Shortwave Radio Christmas Gifts, Shortwave Radio Gift Guide, Sony, Sony ICF-SW7600GR, Tecsun PL-600, Tecsun PL-600 review, Tecsun PL-660, Tecsun PL-660 review, Ten-Tec, Ten-Tec RX-340 on November 23, 2011 by Thomas. Click here for a list of reviews and specs on the Grundig S450DLX. $70 for the S450DLX is an excellent price. If you don’t have a portable with big audio, go grab one now! This entry was posted in Radios and tagged Etón, Grundig, Grundig S450DLX on November 22, 2011 by Thomas. The new S450DLX promises to be a capable shortwave and mediumwave radio. Universal Radio has announced that they are taking orders for the new Grundig S450DLX–an obvious replacement/improvement on the Eton/Grundig S350DL. The S450DLX could be a great radio and may even give my favorite large portable–the C.Crane Radio SW–a run for its money. This entry was posted in News, Radios and tagged Eton S450DLX, Grundig S350DL, Grundig S450DLX, Universal Radio on August 16, 2010 by Thomas.